Equal access to college and career readiness resources is critical for students pursuing a college education. 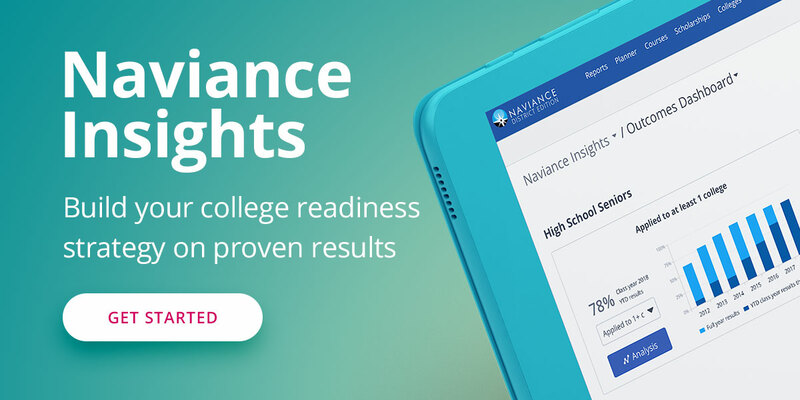 For Anne Arundel County Public Schools (AACPS) in Maryland, high school counselors use Naviance by Hobsons to aid students in the college and scholarship application process. AACPS creates school counseling processes to meet their goals, which include working with students who need more assistance with the application process. "Our goals are to help students apply for scholarships and to have students take rigorous courses in order to prepare for college and career success," explains Susan Love, AACPS School Counseling Specialist. "Students must be academically prepared in order to do well on college entrance exams and participate in college credit bearing courses." Schools counselors take a hands-on approach to help students with the college application process to avoid an overwhelming experience for students. Counselors assist students with writing personal essays and building resumes in Naviance so students have a place to start when applying to schools. Counselors also identify specific scholarships a student would be eligible for based on their profile and interests, notify the student, and assist them with the application. Their efforts have paid off. The Class of 2015 scholarship offers reached more than $154.5 million. Offers for minority students totaled more than $47 million, three of whom received scholarships through the Gates Millennium Scholarship program aimed specifically for African-American, American Indian/Alaska Native, Asian American/Pacific Islander or Hispanic American students with high academic performance and leadership skills. Scholarship offers for African-American students increased 17 percent from the 2014-2015 school year. The Class of 2015 students in the district’s Advancement Via Individual Determination (AVID) program received twice the amount of offers as the previous class. This academic program helps with career and college exploration and assists gives students who may not have considered college as an option the support they need to make an informed decision. Learn more detailed information about the scholarship offers.